Asian markets appear buoyant heading into the open on Friday, despite renewed concerns that the U.S. trade war with China might not see a rapprochement any time soon. U.S. Commerce Secretary Wilbur Ross said on Thursday in a CNBC interview that the U.S. and China were “miles and miles” away from a trade deal. Multi-millionaire Ross, who Forbes has alleged falsely claimed to be a billionaire and removed from its Forbes 400 list, also waded into the U.S. government shutdown, the longest ever, saying he didn’t understand why federal workers were using food banks, expressing the belief that bridging loans were available from banks and credit unions until paychecks resume. To be sure, while Federal employees will receive back pay, government contractors will not. Democratic House leader called it a “let them eat cake” moment — and one which was quickly followed by U.S. President Trump suggesting that grocery stores will provide credit to workers unable to pay for food; this is not a usual practice of grocery stores. But concerns over those issues may have been mitigated by data showing U.S. weekly jobless claims falling to the lowest since 1969. “Despite the uncertainty from the news headlines, companies’ operations remain steady and workers are staying out on the factory floor to finish the job,” Chris Rupkey, chief financial economist at MUFG Union Bank, said in a note on Thursday. “Washington has put almost one million employees on temporary layoff, some working without pay, but the spillover effects to the broader economy cannot be seen as companies refuse to let workers go in this tightest labor market in a generation,” he said. Japan’s Nikkei 225 index was up 0.97 percent in early trade. 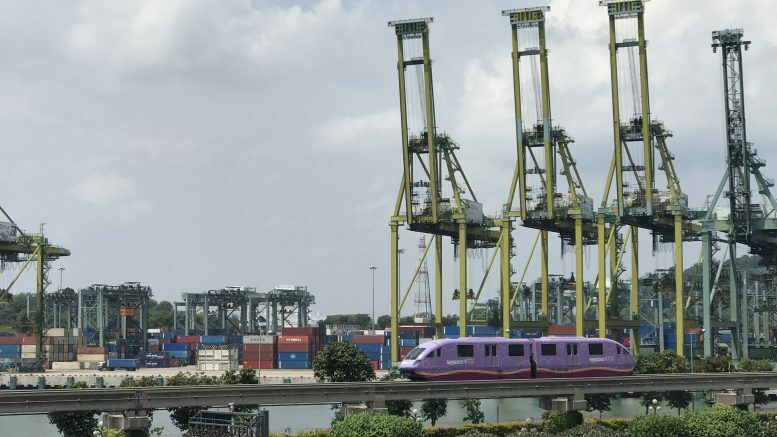 Singapore’s Straits Times Index ended Thursday up 0.62 percent at 3190.73; January futures for the index were at 3190 on Thursday, while February and March futures were at 3192 and 3189, respectively. Hong Kong’s Hang Seng Index added 0.42 percent to 27,120.98 on Thursday, while China’s CSI 300 was up 0.56 percent at 3158.782. Malaysia’s KLCI gained 0.32 percent to 1693.59 on Thursday, while Indonesia’s IDX Composite rose 0.24 percent to 6466.66. The Dow Jones Industrial Average edged down 0.09 percent to 24,553.24, the Nasdaq Composite gained 0.68 percent to 7073.461, and the S&P 500 nudged up 0.14 percent to 2642.33. Futures for the three indexes were nearly flat in early trade. Nymex WTI crude futures for March were down 0.13 percent at US$53.06 a barrel at 7:33 A.M. SGT, while ICE Brent crude oil futures for March were down 0.08 percent at US$61.09 a barrel at 6:59 A.M. SGT, according to Bloomberg data.